And while I appreciate the compliment, the actual work of marketing doesn’t have to be so hard. Often, the hardest thing is just choosing something to do for your marketing from all the seemingly millions of ways to do marketing. And if/when those same small business owners hire me to help them with their marketing, they’re often surprised how easy it can be when I choose 2-3 things for us to try, and then lead them through the steps of implementing them. So, no, I’m not expecting you to find a way to implement all 122 of these small business marketing ideas. Instead, pick the first few that stick out to you and try them. If they don’t work, try a few more. The idea behind it is options—because marketing does work and does not have to be difficult. This is SEO—but it’s the smart kind of SEO. My favorite resource for finding these types of question-based SEO phrases (and the one I used to put together the list above) is Answer The Public. If you’re a localized small business, it’s really important to optimize your website and pages for local SEO. More important than optimizing for SEO in general, probably. Because if you optimized for all of those keywords without the “in New York” after them, you’d be getting calls from people all over the country (and maybe even out of the country), which wouldn’t really help you very much. So unless you’re business is purely online and you really provide services to everyone despite your own location, think about adding your city or state name to the end of everything. Dr. Kwan’s AdWords manager made sure to put his city in his ad text, see? If you’ve got a website that gets any kind of traffic and do any kind of marketing via email, it’s crucial to make sure you’re making the most of that traffic and collecting as many email addresses as you can. People aren’t just going to hand their email address over for nothing, though. But they will do it in exchange for value that’s important to them. So on every post you publish, offer a content upgrade. If you’re limited with time and can’t afford to make a content upgrade for every single post you publish, no need to worry. You can develop a core set of three to five lead magnets you rotate through and offer as the content upgrade based on the blog topic. Just pick the lead magnet you think is most relevant to what people are reading on that post, and work in a few calls to action (CTAs) offering that lead magnet in exchange for their email address. If you don’t have a blog, start one. It doesn’t have to be anything big or grandiose, and you don’t have to hire the most expensive, best writers in your niche. Honestly, you can just generate a list of topics from Answer the Public and use a dictation software to “write” a post using your knowledge on the topic. Hire someone to proofread it and put it into “blog” format with short paragraphs and subheadings, and you’re ready to go. This will help you glean valuable search engine traffic that you weren’t getting before, boost your search engine rankings, and help you collect more customers. Once you have a blog, it’s a perfect excuse to reach out to the influencers and people in your network that you’ve always wanted to connect with, but never knew how to. Find a way to mention the people you want to be in touch with in your network in a flattering way, and reach out to them once the post is published to let them know about it. You can do this via email or a social media mention on LinkedIn or Twitter—any way you think will best get the attention of the person you want to be in touch with. It’s usually a good rule of thumb not to try to sell to them right away, but starting a relationship where you’re in touch once a month or once a quarter to congratulate them or provide value to them will really set you apart as a serious professional and a beneficial connection to have, boosting your business in the long term. Beyond using your blog to mention influencers and business people you want to be connected with whether they’re local or not, make a list of local movers and shakers you think would be beneficial to have connections with. Place these people into your CRM with a notification to get in touch with them once a month or once a quarter. You won’t be trying to eek sales out of them, but instead to create a relationship which might lead to becoming referral partners, creating a partnership in another way, or them becoming a customer. Information presented in a video format can be digested in a fraction of the time a written-out blog post can, even if that blog post has lots of screenshots. The teaching is also more poignant and recalled much easier because you use visual & auditory means to convey information, instead of just visual. Also, if the video is SEO optimized to answer a question people are searching for, you’ll bump your own site’s SEO and increase chances of discovery via another platform like YouTube. If your business has accounts on Social Media , then make sure you optimize the profile descriptions and the posts for SEO. Or, in this case, SMO (Social Media Optimization). Most of your social media followers will come to you and follow your profiles because you pointed them there, but optimizing your posts with search-based keywords—especially on Social Media platforms —will really help you get noticed and gain followers in a way that you wouldn’t if you didn’t optimize your descriptions. If your business is new, or if you’ve just signed up on the AdWords platform, you’ll get these in the mail with about the same frequency that you receive those huge postcards from car dealerships promising you a $1,000 prize if you come and test drive a new vehicle. 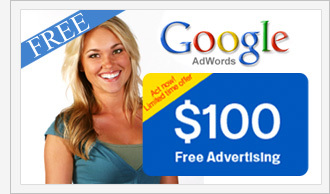 Go ahead and set up an AdWords campaign and limit your budget to the amount on the coupon or just a little extra. Don’t pressure yourself to put together the perfect campaign, just try things that you think will work. The goal isn’t to get hordes of new customers from a $100 AdWords coupon, but to collect data around what your potential audience responds to (or doesn’t) and maybe get another customer or two from free advertising. Once you have this data saved in your AdWords platform, you’ll be able to refer back to it when you’re ready to take your search engine marketing to the next level, so you won’t be starting from zero. If your business fits the profile, spending time commenting and shooting the breeze with other people who love spending time chatting and making sarcastic comments on the internet can be a great way to build customer loyalty. Just make sure you never get promotional. It’s okay to use your business’s name in your screen name and include your website in your profile, but don’t be a salesy jerk. Make jokes, interact with the other commenters in a fun way, and only refer to your products if absolutely necessary or 100% appropriate to the joke or conversation at hand. If you’re not sure where to start, Reddit and Tumblr are some of the main sites for this type of “person to person” interaction. You can approach this in two incredibly valuable ways, depending on your business model. If you run a business with information or coaching as a product that your customers pay a monthly membership fee to access, starting a private Facebook group as a sort of “mastermind” for people to be a part of and help each other can be a great added value for them without tons of hours of your active input. It’ll make them more loyal to your information offering knowing there’s a place they can always go for help and input from intelligent, real people just like them. Alternatively, if you run a localized business that’s either service or product-based, you could start a private Facebook group of some regular, high-end customers or other local business owners who all like to help each other grow their businesses either via referrals or shared marketing efforts. If this is the case, the Facebook group could be used to notify each other of cool events, give each other ideas, to ask for feedback, or to brainstorm an awesome event to do together. It can be easy to use mediocre, stock, or free images for your marketing materials, but having custom graphics with carefully-selected colors and fonts is a way to really take things to the next level. Because instead of giving off the look of being an amateur company, custom graphics take your professionalism to the next level and suddenly everyone’s taking you way more seriously. The best thing is, these “custom graphics” don’t have to be expensive, either. You may want to work with a designer to figure out your brand identity, but once you know your font and your colors, you can use a free tool like Canva to create great-looking graphics. Canva is free to use, but if you ever find yourself needing to “upgrade” for a better-looking background or something, most of their upgrades only cost $1.00. We all know about social media advertising for things like Facebook, Pinterest, or Twitter, but do you remember StumbleUpon? I haven’t used it since college, when it was the most fascinating way to waste precious study time. But more than ads on other platforms, people are taken directly to your page, and not just shown an ad they can decide to click on or not. This means your content gets in front of them in a very real way, and you don’t have to worry about pesky ad writing. This image from StumbleUpon’s Product Tour shows you what kind of interest targeting is possible. If you don’t believe me, just check out Pinterest. They’ve got them on any topic you can imagine, and they’re always popular pins. You can make an infographic yourself using a tool like Piktochart, or you can write out the facts you want displayed and work with a designer. By making the facts within them evergreen, you know it’s an infographic that will be just as useful three years from now as it is today. Which means shying away from data around trends, and latching onto data or facts that aren’t ever going to change. When you make an infographic embeddable, you give others the permission and power to share your infographic on their site, linking back to your own site—increasing your reach and building loyalty from other site owners by giving them such a cool infographic to use. Beyond letting others embed your infographics to their own sites, you can syndicate and republish your actual posts in a number of different ways, too. The two easiest ways to republish your content (without facing penalties from Google) is to republish what you’ve written on LinkedIn Pulse or on Medium. The only barrier to entry there is having an account on those sites, and every time you publish a post, your network gets a notification of it. You can also expand your reach by giving interested bloggers and websites permission to republish your content, as long as they post obvious links back to your original post. Large sites like Business Insider and Huffington Post will do this, but you can also benefit from smaller, niche-specific sites with large audiences as well. Just make sure you get data on their audience size to see whether or not it makes sense for you to allow them to syndicate your content. Any time you have a happy customer who’s just thrilled with the results you’ve got from your services or is exceedingly happy with the product you sold her, ask her if she’d like to be interviewed for a case study. The case studies don’t have to be overly detailed or 4,000 words long… a simple before and after with basic data showing how worthwhile your product or service made improvements in the lives of your customers is perfect. Plus, when you feature someone on your website in a positive way, they’re often happy to share it with their network too. Not to mention the credibility factors it lends when you’re able to show off how well you’ve performed in the past to potential future clients. Here, Evernote’s published a case study on how their customer, MailChimp became more strategic through their services. Every single customer may not be down for a full-fledged case study interview, but almost every customer that’s happy with their interaction with you will be happy to write a short testimonial. When you ask for your testimonial, make sure you prompt them with a question related to the aspects of your service you know they’re most thrilled about. If you know they’re happy but they haven’t expressed anything specifically, ask them about a certain aspect of your working process that you’ve currently got fewer testimonials on to build out your collection. The AdWords display network lets you show certain ads to people whom you already know have visited certain pages on your website. So if you know someone’s visited your webinar page but didn’t sign up yet, you can show them display ads across the internet on websites that are part of the AdSense network to go back to that webinar page to sign up. If you guessed it’s effective… then you guessed correctly. Just make sure you use the same visual branding that’s present on the webinar page so your ads instantly pique visual recognition, even if the words don’t right away. You can retarget on Facebook exactly the same way you can retarget via AdWords. Both ad networks use retargeting pixels that you place on your website to track people who visit certain pages, and direct ads at them appropriately. On Facebook in particular, these ads show up in the top sidebar and newsfeed and switch out every so often with other advertisers who want to reach your target audience. Unlike AdWords though, it’s one network you can pretty much know your target audience is going to be exposed to, since nearly everyone is on Facebook. One of the easiest ways to set your business apart as an intelligent place people can go for information is to take some of the bests blog posts in your niche that have already been written and make them better. Like this post, for example. We knew we wanted to create an epic post on small business marketing ideas, but the largest list we could find pre-publication was 105. So we went through that 105 list and other, smaller lists on small business marketing ideas, and combined all of those ideas into one post, along with adding a few of our own ideas that didn’t come up on those lists. Note: though we collected ideas from different posts, nothing is plagiarized. We wrote all of these points from scratch, which you should do as well if you implement this strategy. LinkedIn is not like Facebook. Very few people comment on posts, photos, or videos their networks share in engaging or intelligent ways. Instead, though, when someone takes the time to make an intelligent comment on the content actually shared as a way of having an actual conversation, it stands out. Here’s a mini conversation I recently had on a post I published on LinkedIn. I can tell he actually read what I wrote and wanted to know more from me, so he started the conversation. Doing this on LinkedIn for yourself is a great way to get positive attention from the people you want a part of your network. Just because a series of blog posts were published as blog posts doesn’t mean they can’t be turned into an ebook. And just because an ebook is an ebook, doesn’t mean you can’t turn it into your next conference presentation. Likewise, a popular infographic could make an even more popular and interesting explainer video. Basically, don’t be afraid to take your existing content out of its existing form and repurpose it into other forms. For one, it cuts down on the time you have to spend creating new content from scratch, but it also lets you take content that you already know is successful in one form to expand your content marketing strategy with new forms of content, reaching and resonating with your audience in new ways. Referrals are some of the most valuable sources of new business that I have. Sure, my business could exist without them, but I’d have to spend way more time and effort marketing towards colder leads… and maybe even spending more money on ads to make that happen. While most people in your network probably know they could refer leads to you if need be, putting a referral program in place offers them an actual incentive to do so. For example, within my network of referral partners, I’ll happily pay out 5% of the contract amount to the referrer. It isn’t a huge amount of money ($150 if a new client books a $3,000 package), but it’s easy money and is a great ROI for them if the only work they have to do is send an introduction email. This referral network is made up of happy past customers, professionals in my local network, and business “friends” I’ve made from running my business on the internet. And boy has it ever saved me time and stress in booking clients from month to month. This doesn’t have to be anything major… and you don’t necessarily need lots of attendees, either. But hosting an event or MeetUp that provides value to the people who come is a great way to get the word out about your business in the community. For example, I regularly attend one MeetUp hosted by a creativity consulting business that focuses around conscious entrepreneurship. He hardly ever tells us about his business offerings, but after I attended about three or four meetings, we found a way to work together that was mutually beneficial for both of us. Tools like Rafflecopter make it easy to run an online contest, keep track of the number of entries, and choose a winner in an unbiased manner. Here’s the results from an online social contest Rafflecopter helped one of their clients achieve. This concept can apply to any business where customers would come back again and again to purchase something from you. The default example, of course, is of a coffee shop handing out loyalty cards and giving you a free coffee after you purchase the first ten. It’s a small motivation, sure. But it’s often just enough to convince someone who’s craving a mid-day coffee to walk across the street to your shop instead of going to the one that’s on the corner closest to their office building. But to make your purchase-based loyalty programs extra effective, try giving away a couple “free” credits every time someone gets a new card. “The mere illusion of progress cause people to buy coffee more frequently,” said Roger Dooley in his book Brainfluence. He describes an experiment where loyalty cards had 10 and 12 spots to stamp, but on the 12-spot stamps, two spots were already filled in, so both sets required 10 stamps to complete. Loyalty programs extend beyond small pieces of cardstock that people put in their wallets, though. And many businesses are turning to apps to help crank up the loyalty. You can develop your own app with loyalty-tracking features, of course. But a more affordable approach if that’s not in your budget right now is join programs existing mega apps offer for your industry. For example, Stamp Me lets restaurant owners join their program and offer deals and exclusive offers to that app’s users. Users love these apps because it lets them access loyalty programs of multiple restaurants with just one app—instead of having to juggle a lot of different ones. If you’re a business lawyer that specializes in helping entrepreneurs get their new LLCs up and running with the proper paperwork, you could form a partnership with another local business that serves the same target market, but in a different way. For example, a lot of new business owners will need help getting a website running and functioning, so you could form a referral partnership with a local web designer that specializes in quick-start website options for new entrepreneurs. Or if you work as a divorce lawyer, you could form a partnership with a financial advisor that helps people who’ve gone through a divorce get their finances in order and create a new financial plan to help them stabilize their financial situation. Depending on your situation, you can choose to act as referral partners to each other, possibly offering a referral fee, or you can offer package deals that offer your conjoined target market a discount for buying in on both of them. Podcasts have become so popular in recent years that they’re actually starting to rival blogs for helping business owners get exposure by appearing as a guest. And often, they can actually be more effective than writing a guest post because when someone consumes that content, they’re absorbing your voice and your expertise directly, rather than just scrolling through the subheadings to see if you’ve got anything interesting to say or not. This also makes listeners more compelled to check out your website and the resources you offer in the podcast later, boosting your business. RadioGuestList is a great place to get started with podcasting, it’s a directory service for podcasters and podcasts hosts to connect the two. But the above point isn’t to say that writing guest posts as a marketing strategy is dead or useless, though. Loads of industry-leading sites and bloggers don’t have podcasts, so getting yourself featured on their site with an intelligent blog post relevant to their target audience is the next best thing. Just make sure you get a prominent author bio with a link back to your site and try to incorporate other links back to your site within the post, but only as appropriate. A lot of people might argue that awards are relatively meaningless, but like them or not, the ability to put an award badge on your website or in your window lends a huge amount of credibility to your business. If you haven’t won anything, start small. Acquire local awards or recognitions doled out by smaller blog networks. Build up a nice collection of these smaller awards, and the momentum will often carry you forward to bigger and better awards… and even more credibility. Plus, even if you don’t win, getting your business listed as a participant in the contest will still get you a fair amount of visibility. Just because you’ve created a Facebook page, claimed your Google listing, and pasted a description of your business into Trip Advisor doesn’t mean you’re totally in control of your online presence. You never know where patrons (or potential patrons) of your business will be online, so it’s important to own your presence across all the listing sites so you can respond thankfully to positive reviews and put out fires from your official profile the instant an unhappy customer posts something. I’m a millennial, and I Google everything. My parents are Baby Boomers, and they Google everything, too. If I’m looking for a certain type of business or service in my city, I often turn to Google before I even ask my friends. So beyond claiming your Google listing, see what kind of fun you can have with your Google listing. It doesn’t have to be outrageously funny, just something a little unexpected to put a smirk on the faces of people searching Google for whatever it is you offer. This immediately creates a more positive experience with you than any of your competitors, giving you an advantage from the start. Business cards are a great marketing tool, yes, but they’re all pretty much the same. They’re all 3.5” by 2”, on matte or glossy cardboard, and have your business name, tagline, url, email address, phone number, and maybe a physical address. So making your business cards different—even just slightly different from everyone else’s—is a great way to stand out. It can be as easy as making them a little thicker, adjusting the 2D dimensions, or making them 3D in some way—like by raising text up off the card or creating a hole somewhere in the card as a part of a design. If you really wanted to stand out, you could make your business cards useful in some way. Like a bartender putting a recipe for his favorite drink on one side, or a carpenter using the side-edge as a ruler. Here’s a few hundred more unique business cards for for inspiration. If you’re using Twitter as a traffic-generation strategy, I’d suggest you to try something different. Because unless you have truly viral content (which can’t be predicted), or you’re Justin Bieber, it just isn’t going to work. But it is a great place to build rapport with other business owners and influencers in your industry and in complimentary industries. Anytime you retweet something someone’s written, tag them. Like their tweets. Retweet them. Mention them when you see something that makes you think of them. In general, be a nice person, but go out of your way a little bit to include others in the conversation. It might not be a direct traffic generation strategy, but it will increase the recognition of and loyalty towards your name. People love free stuff. Especially when that free stuff is big stuff. Having a stack of large stickers or car magnets to give away that’s your own, branded swag is an easy way to get your branding in front of the eyes of way more people. Especially if you use a clever saying, people will proudly place these on their cars, water bottles, laptops, and maybe even vandalize light poles and street crossing signs with them. We’re not suggesting you condone vandalism, but we are suggesting you consider a cheap way to help loyal customers broadcast their loyalty and pique the interest of everyone else. There’s a business in my city that always displays their beautiful, whimsical yard decorations directly on the sidewalk during the hours they’re open for business. It’s a gorgeous change of pace from the cement sidewalks and brick buildings every other business (including theirs) is housed in, and it definitely gets attention. Plus, shoppers don’t even have to make the effort to step into the shop to see how beautiful their products are. And, if they’re walking on that side of the street, they’re lucky enough to have the experience of walking through it. You don’t have to put your products out on the sidewalk and subject them to street robbery, though. Instead, you can have something fun for people to participate it—like creating a sidewalk art mural, or finger painting a community piece of art. The idea is to just get people engaged with you, your business, and your brand. And to maybe lure them into your shop so they can see all your cool, awesome products. Non-profits will often employ this strategy when they’re in the middle of a fundraising event. They ask everyone who’s connected to the nonprofit in their community to wear their t-shirt on one specific day as a way to spark conversation about the cause and the fundraiser. It’s a smart and easy strategy, but the idea doesn’t have to apply solely to non-profit organizations. It’s inexpensive advertising—and especially if the t-shirts have an intriguing message on them—will spur plenty of conversation about your business. We’ve all seen cars with crazy colors and business names on them driving around from time to time. You don’t have to repaint your car to be neon green, but the cost of window or body decals is relatively low for the amount of possible impressions over time. The important thing to consider here, though, is that you don’t just plaster your company name across your back window, but that people see your car, understand what you’re about, and know what to do about it if they’re interested. This can be as simple as your business name, a descriptive and catchy tagline, and an easy-to-remember url people can type into their phones and computers when they’re not driving anymore. Particularly if you offer B2B products or services, hosting a local raffle where other local business people put their cards into the raffle dish is a great way to collect new local contacts that you didn’t have before. Once the raffle is over, you can then use all the contact information on those business cards to reach out to people via email and let them continue in their funnel if your offer is interesting to them. A hard sell directly after a raffle like this usually won’t work though, so make sure you’ve got some decent free offerings for the raffle participants—or something like a free workshop to invite them to—so they can get a better idea of your business before you start selling to them. A lot of times, especially if you’re a service professional, your prospects might not see the value in what you do until you actually show it to them. But it can be hard to show it to them—especially if they’re busy business owners who are hard to convince that something’s worth their time. A free workshop though, with a promised output by the end of it, is a great way to build up the audience you want. You still teach them something beneficial and give them that promised outcome, but most of the time during the presentation they’ll start to see the real value of what you offer. It also gives you a reason to flaunt yourself and the talk that you’re giving shamelessly with good-looking posters in appropriate spots around town. Plus, since it’s at a university, you can leverage that credibility to invite the big-wig business people you’d love to have in your network but haven’t had a way to reach out to yet. At the end of the talk, of course, make sure you give a compelling call to action for people to stay in touch with you so you can actually use that talk for more than just the press coverage and to grow your business. An email autoresponder sequence is one of the best sales and marketing tools on the planet because once you put it in place, you can forget about it. A message on how what you’ve taught can apply to the recipient’s business (with testimonials from others like them) and a strong call to action to either sign up for another email autoresponder or lead magnet with higher stakes or a call to action for a low-priced first sale. Lead magnets can be really easy to make. A lot of companies publish full-fledged ebooks that they offer for free, but a lead magnet really doesn’t have to be anything more than a simple checklist of items you cover in a blog post. These checklists can often take less than an hour to write and design, and are a wonderful tool to deploy on your website to collect email addresses to grow your list. They’re particularly important because almost no one will opt into your email list just for the sake of getting a newsletter and cluttering up their inbox. But they will gladly opt in if you offer something that’s valuable for them or make their life easier in some way. If there’s one reason I love going to conferences, it’s getting enough pens to last me through the year. I seriously don’t remember the last time I went out and bought a pack of generic pens. And while everyone and their brother gives out pens at conferences, there’s a good reason people do: it’s a piece of branding that the people who pick them up will have in their desk drawers, will use in public, and will lend to others for up to a year later. Pens are an easy go-to, but other effective items are labeled bottles of hand sanitizer, tubes of lip balm, branded breath mint tins, and even reusable shopping bags. This is a type of passive marketing that won’t get you droves of instant results, but it will work. Recently, a friend told me about a massage center he started visiting after he constantly saw their mini flyers at a restaurant he frequented. In my own life, I started attending traditional meditations shortly after moving to a new city because I saw their leaflets scattered around in a few different places. It probably won’t be the case that someone sees your mini flyer and decides to stop in for a visit the exact same day. Instead, the idea behind it is to cause repeat and increased visual exposure to your brand and the benefits you offer. Eventually, the message will break through to the right people and they’ll come in for a visit. Connecting with local charities to donate prizes for their fundraisers is a really easy and inexpensive way to get your name in front of the public in a positive way. When a non-profit runs a fundraiser, they shamelessly promote it… and especially if that fundraiser is something like a raffle, they’ll generously go on and on about how wonderful all the prizes are. Plus, you totally get to count it as a tax write off. Everyone wins. When used correctly, Facebook ads are a wonderful way to get the message you want in front of the exact people you’re trying to serve. Because Facebook collects so much personal information, you can target ads on Facebook in ways that you can’t on any other social platform. For example, on something like AdWords, you can only target based on words typed into the search bar. But on Facebook, you can target based on basic things like age and gender, but also on their job title, their likes, their significant life events, and the significant life events of their friends. Facebook’s recently launched a feature that lets you “go live” and stream yourself to your followers in real time. A lot of businesses are taking advantage of this as a way to increase loyalty to answer on the spot Q&As with their fans. And if you’ve got a decent following on your Facebook page, this could be a great way to boost on-page engagement and customer loyalty. One of the oldest tricks in the book, here. You pay someone to either dress up in a ridiculous costume and hand out coupons to your business, or you hire someone to hold and flip or dance around with a sign advertising a promotion you’ve got going on. It’s definitely a “Look at me! Look at me!” tactic, but if your business hits a middle-of-the-week lull, for example, this could be a good way to direct buyer attention back in your direction. Geo fencing works in two different ways: via apps, or via SMS. Via SMS, you can send text messages to customers who’ve already given you permission to send them text messages once they enter your radius of geo targeting. Along with geo targeting via SMS, you can treat the phone numbers you’ve received from customers who’ve opted into your text campaigns like an email list of sorts. Which means that you can send them weekly reminders of the promotions you’re running, exclusive coupon codes, and the ability to access new products or offerings before the rest of the public gets access to them. Getting customers in by word of mouth is a very big deal. It means that your current customers are thrilled with you, and because of this, word of mouth referrals also tend to be happier customers themselves. To increase the number of word of mouth referrals coming into your business, offer a referral reward incentive to your existing happy and repeat customers so they get something in exchange for every referral they bring in. Some businesses set this up via affiliate sales where a straight commission is paid out every time, and others give out loyalty points customers can apply towards purchase discounts or bonuses in the future. If someone doesn’t hear a raving review of your business from one of their closest, most trusted friends, you can bet they’re Googling you to find out if you’re legit. And one of the best ways to keep worries at bay is to make sure you’ve got plenty of happy reviews from happy customers slathered across the internet. One of the easiest ways to boost the number of reviews you have is to offer an incentive for leaving a review. Of course you can’t only offer the incentive in exchange for a five-star review, but offering the freebie does automatically put people in a better mood. Incentives can be anything from coupons for a percentage off their next visit, a tiny freebie with their next purchase, or a based credit amount towards their next order. Hosting a webinar online is kind of the equivalent to hosting a workshop or a talk in person. The thing is, a lot of people have come to expect that a business will only offer a webinar when they’re trying to sell a really high-ticket, expensive item. And while there’s nothing wrong with that, it is a mentality that you’ll have to deal with. So whether or not you’re using a webinar to build up to a huge sale, make sure your webinar is more than just a thinly veiled sales pitch. Promise something of great value to your target customer upfront (and for free), and deliver it during the webinar before you go through any kind of super sales-y pitch fest. 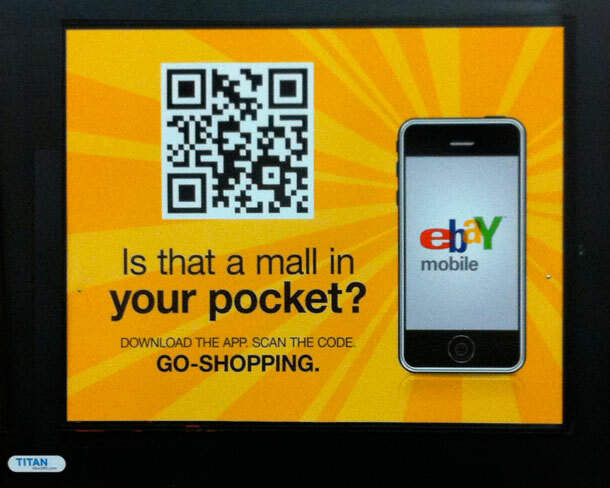 QR codes are a lot of fun for users mostly because of the mystery involved. Most of the time, they just store a URL in a way that can be read and processed by a smartphone, but they can be used to deliver other little gems, too. When someone sees your advertisement with a QR code as the call to action, taking them on the “journey” of reading the QR code to uncover the information you’ve encrypted for them to “figure out” makes them feel more involved with your brand. And if they like the end result that the QR code delivers? They’ll feel like you’re a “fun” brand to be around, too. Okay, it doesn’t have to be Pizza. It can be coffee, juice, donuts, cider on a cool day, or anything else that’s fairly cheap for you to either buy or produce in bulk. Of course, make sure it’s clearly advertised outside of your business either with an attention-getting poster or sidewalk sign. The idea is to tell people that you’re giving something yummy away for free to get them in the door. Once you get people in the door, of course, the principle of reciprocity will kick in and people just won’t feel right unless they do something to reciprocate—which could equal them becoming a customer that day, referring others to you, and/or becoming your customer down the road. Being involved in the community via team sponsorship, especially if your business and clientele are localized, is one of the best ways to get your name and branding in front of the public in a positive, passive way. You aren’t overtly selling to them, you’re just being involved with them in a fun, relaxed manner that they’ll remember even when it isn’t baseball (or soccer, or swim) season anymore. Sponsoring an industry conference where a lot of your target clients will be present is a great way to get your name in front of people in a “real life” situation. Instead of only looking at your branding and your message through their computer screens, people see your branding on the notebooks they use to take notes at the conference, on the pens they use to write those notes with, or on the napkin they pick up when they get a drink from the VIP bar. Plus, a lot of conferences will give out speaking spots if your sponsorship level is high enough, which is a great opportunity to teach something valuable to your target audience and increase the brand loyalty towards your company. Commenting on blog posts written by influencers (A list, B list, and C list) in your industry is a great way to both spark smart conversation with people you’d like to do business with in some way and get yourself discovered by potential customers who read those blogs. Rather than commenting with something like “Great post!”, instead try something that’s thought-provoking or asks a question. You can start a mini-conversation with the blogger, and maybe even spark comments from other readers, too. Pinterest is a place where people daydream and plan. It’s where they map out their most picturesque lives in the parts of their life that are most important to them: whether it’s interior decorating, adventure travel, baking fun cakes, or making sure their wedding is one to remember. And for the most part, it’s almost exclusively used for selfish reasons. There’s nothing wrong with that, but it does present a huge opportunity to be one of the few winners who proactively creates community involvement by commenting on pins, giving ideas, and complimenting people on their collections. A little flattery goes a long, long way, and doing so will increase your following on the platform and probably even clicks back to your website. There seems to be at least a small handful of business-specific networking groups in every community. Some are there just to help entrepreneurs deal with the struggles of entrepreneurship, others are there to help you be more mindful in your decision making, and others are shamelessly referral-focused. One referral marketing group, BNI, is present in most cities and the members are responsible for regularly connecting and making referrals for the other members of their group. Everything is reciprocal, and it can really help your business grow if you’ve got a localized focus. Ever been featured on a cool blog or website? A bragging rights banner (which is my unofficial term for it) is a banner across your website where you place the logos of all the cool publications and blogs you’ve been featured on. The idea is to create instant, visual social proof that people can see and easily digest without having to go through the cumbersome brain process of actually reading to recognize that you’re totally legit. This is a great way to get insights into what your customers want so you can improve your offerings and your marketing, but you can also use this as a marketing opportunity in and of itself. In return for completing a survey, for example, you can offer a coupon on someone’s next purchase from you… prompting them to go ahead and make a purchase they’ve been thinking about. Or you can include questions to ask them what they know about your different service offerings as a way to not-so-subliminally let them know that you offer way more than they realized. For example: Were you aware that every single one of our service packages now includes a 60-day money-back guarantee? No one customer is created equal to any other customer in your list. They’re all totally different. Everyone has different needs, are at different stages in their level of trust with you, reached out to you for different emotional reasons, and so on. Unfortunately, it’s probably not sustainable (and it’s definitely not scalable) to craft every single email you send out to your customer base specifically to every single person on your list. Assuming you ever want to get anything else done, you’ll probably just be sending the same message out to all of them. But that doesn’t mean you should write off the idea of custom communications just yet. By separating your email list into two or three different sub-lists that reflect commonalities between people in your customer base, you can still craft different messages for these three groups, increasing the relevance of each one without inundating yourself with too much work. Sending out physical coupons for people to redeem in-store is one of the easiest ways to stand out: because you literally make it inside someone’s home when you do that. Most marketers stick with ads where they feel they can reach as many people as possible, but printing and mailing coupons gets you instant attention, helping you break through the clutter of newspaper and magazine ads people see in their mail because your ad (read:coupon) is a separate entity all on its own. I LOVE checking my Facebook page on my birthday. It feels so good to see my friends, family, and random people I knew during different parts of my life come out of the woodwork to send positive wishes my way. But as much as I love seeing those Facebook posts, I feel even more loved when I open my mailbox to see someone’s thought so much of me that they’ve gone out of their way to buy and send me an actual card. People love to feel noticed, so remembering your customers on their birthday is the perfect way to make them feel special and increase loyalty towards your brand. There’s no rule that says you have to bear the cost of marketing all by yourself. In fact, it’s a general rule of the universe that if we join forces, we can go farther together. If you know of a really cool marketing campaign that you’d like to deploy but can’t quite afford to do it all by yourself, approach other businesses who serve the same customer base as you to join you. You can craft a message that succinctly promotes both of your businesses in a positive way, and you can both reach way more people together than you would separately. Don’t be afraid of sounding like a broken record. You may feel like a broken record because you put the same call to action at the end of every single blog post, but I can guarantee that your readers hardly notice. In fact, those consistent calls to action need to be there because the chances of someone converting after seeing or hearing the firestone are actually pretty minimal. In the sales world, it’s commonly known that making a sale can take at least seven touches with a prospect on a one-to-one basis. While downloading a lead magnet may not be as high-stakes as closing a contract, know that it’ll often take at least a few times of seeing or hearing it to get someone to truly consider the offer and convert—and don’t be afraid of driving it home. As mentioned in the point above, it can take seven touches before someone converts into a customer. By planning out what that ideal seven-touch funnel is for your business, you’ll be able to set up systems (think ads, retargeting, email campaigns) that proactively lead people through those seven touches with an end goal in mind. By carefully crafting the messages people see with each touch, you can make sure that they’re aware of the true value you offer and what it means for them—increasing their likelihood of conversion. Rather than cold calling people who’ve never heard of you before, try following up by phone to have an actual, live voice conversation with the person you want to sell to. It doesn’t have to be awkward: if they’re already in your funnel, you can see which lead magnet they’ve downloaded and start the conversation there to ask if they found it helpful and if they had any further questions related to that topic area. Start by offering help, be friendly and show you’re committed to their success, and watch your conversions increase. Pricing in and of itself is a great way to make a statement about your business and the type of clients you’re after. And particularly if you lean more towards premium pricing, raising your prices can be a great marketing strategy. By giving people advance notice of when your prices will increase, you can allow them to book your services at the current rate up until that date. People love to get in on deals, so if your services are something they’ve been considering, they’ll probably go ahead and opt to book you, giving you a surge in your business revenue. If there’s something big going on in your community, you country, or the world at large, tuning your marketing efforts into that event increases your relevance with what your consumers are thinking about in their day-to-day. For example, if the winter olympics are happening, you can have nightly viewings in your bar with special beer and drink offers that correlate with the olympics. If a local collegiate team is playing a championship game, market that you’ll be playing the game and that you’ll have special offers for fans wearing their school colors. One of the biggest problems with marketing—especially with marketing online—is to battle human inertia. When someone isn’t proactively working towards the goal your product or service offers, it’s easy for them to push it off and tell themselves that they’ll come back and think about it next week or next month. Of course, we know that “next week” means “never” 99.99% of the time, so the challenge is to get them to act now. By using deadlines, you employ a scarcity tactic that makes “next week” or “next month” too late. And if they want in on what you’re offering, they’ve got to act now, increasing your sales. A particularly effective way is to show a counter displaying how many slots were available at the beginning, how many have been sold, and how many are left. Particularly if the items are selling fast, people will break out of their lazy resting state very quickly before they sell out completely, prompting more sales for your business than you’d normally get without this scarcity. FOMO is a huge buzzword in the marketing arena these days, but just because lots of people have finally latched onto the concept doesn’t mean it’s any less effective. In case you’re unfamiliar, it stands for “fear of missing out” and plays off the emotions that none of us want to miss out on any of the good things in life: health, money, excitement, love, prestige, etc. FOMO statements are particularly useful in hooks no your web pages, ads, or other marketing materials to get attention, create an emotional attachment, and get people to listen to your message. You’ll never get the sale if you don’t ask for it. You’ll never collect email addresses if you don’t ask for them, either. Basically, whatever you want, you have to ask for it. In your ads, ask for the click. On your lead magnet landing pages, ask for the emails. In email autoresponders, ask for them to click through or for them to respond. On your sales page, be shameless about asking them to set up a time for a demo or consultation. Even on your printed materials like business cards and brochures, ask for a call or an email. Go through every piece of your marketing funnel and make sure there’s a very clear and obvious call to action attached to it. Any time you get a review or a comment online, respond to it. If someone’s happy and leaving a raving review telling absolutely everyone that you’re the best ever, thank them for it and increase their loyalty even more. If someone’s not so happy, comment to apologize and offer a way to help rectify the situation. By being responsive to the public and your customers, you not only improve your visibility on social media and review sites, but you also show that you’re a business who cares about the experience of your customers, increasing loyalty even with people who haven’t bought from you yet. This idea isn’t for everyone, but when you stop competing with your competitors on price and instead focus on how well you deliver your services and the results you get for your clients, people take notice. Instead of going after saving an extra $20 or $200, they start to go after the $2,000+ that extra $200 investment will buy them. Your business becomes more of an investment and growth opportunity rather than a service company that people just outsource to when they don’t feel like doing something themselves. This one also isn’t for everyone because starting, producing, and maintaining a podcast is a lot of work. But, even though it feels like everyone and their brother has a podcast now, that’s not the case and it is a huge opportunity to stand out from the rest of your competition in your niche. The idea of a podcast is to talk about topics that will help your audience improve the thing that you serve: their business, their health, their mindset, or their relationships, for example. Or you can use it as a platform to interview other niche experts and influencers, boosting your own credibility alongside theirs. Remember when Domino’s took all the bad things people were saying about their pizza and turned it into an advertising campaign? They knew there was a large segment of the pizza-eating population fairly unsatisfied with the quality of their pizzas, they knew that bad word of mouth was spreading, and they knew that if they didn’t do something about it, their once-reigning pizza empire would crumble to the ground in pieces. So they asked people what they hated about their pizza, published those statements publicly, and started holding themselves to a much higher standard. And suddenly we were all ordering from Domino’s again. And instead of holding onto resentment over the years and years of bad pizza, we loved them for their honesty and effort. So if you know you’ve got an unhappy customer segment, this could be a great strategy to start from scratch and regain their trust. Use a lead magnet to collect leads? Offer a free teaching webinar from time to time? Write heavily tutorial-based blog posts? Try giving away even more free information in these things. I know it sounds crazy and counter-intuitive, but take a second to think about the bloggers and websites you absolutely love the most. The ones you’re 100% willing to suggest to anyone and everyone who might be remotely interested. They’re the ones you can refer people to for their awesome free resources and valuable information, aren’t they? That’s because as consumers, the purposes of websites and the internet at large for us is to solve problems. Sometimes that problem is as simple as “I’m bored and want to watch cute puppy videos,” but most of the time it’s something way more practical. And those websites and bloggers you absolutely love for doing this for you? You’re more likely to buy in on their offers, aren’t you? So try over-delivering with the free information you offer on your own site and see how much more loyal your fan base becomes. If you’re reselling products from well-known brands or the products themselves have some of the highest ratings and best reviews in the industry on other sites, go ahead and leverage that credibility and trust. You see Apple and iPhone resellers doing this all the time. They’re selling products from one of the world’s most famous and trusted companies, and the products themselves are adored by the masses. Especially if you’re just starting out, leveraging happy testimonials and five-star ratings that already exist is a great way to boost your own credibility in the eyes of your target market. People have been spelling the death of the print industry for decades now. And while we can’t argue the fact that there are fewer copies in print, strong industry-based trade publications are still doing very well for themselves and their subscribers. And there’s still at least one strong, popular publication for nearly every industry imaginable. Placing an ad in one of these magazines, especially if you follow time-tested advice like what David Ogilvy gives in his writings, is a great way to get your business in front of others who are equally as serious about your industry. So this isn’t exactly “marketing” in the sense that you’ll get new leads and customers from it, but it is marketing in the sense that you’re giving your current customers very solid and emotional reasons to stick around and keep buying from you. If you sell a software or any sort of service that requires any kind of involvement from the customer, deliver an onboarding package that helps people get started. Include plenty of FAQS answered in a fun way and “gifts” that can get them started is a great way to attach new customers to you like glue. This sets a precedent for a great customer experience, reducing your churn rate and increase your word of mouth. As sophisticated and logical as we all like to think we are, the vast majority of our decision-making process actually happens on emotion first, with logic to back it up. By playing on emotion in your site’s headlines and landing page hooks, you ignite an emotional response that propels readers forward down the page. It doesn’t have to be sleazy or tacky (please don’t make it sleazy or tacky), but by speaking to pain points and specific results, you get readers to project the statements you make directly into their lives… which means they imagine a best-case scenario and get attached to that idea. You know how you get those mailers from car dealerships promising you a “FREE Prize!” if you come in and test drive whatever model of car they’re having a hard time selling? You can adapt this strategy to your business, but without doing it in such a tacky way that lands your mailers or coupons in the recycle bin the instant they get pulled out of the mailbox. If you have a restaurant, you can send out a coupon for a free ice cream cone of a new flavor you’re selling. If you operate a spa, you can offer free samples of a new soothing night foot massage oil you’ve formulated. The only catch is, though, people will actually have to come in to your location to get it. This gets potential customers interested and more familiar with your space—increasing your future business. The internet is huge and so, so vast. And gaining visibility across all different kinds of websites on the internet is a great way to glean some traffic from potential customers that may not have heard of you otherwise. Using something like the AdWords Display Network also helps you know that your ads will be shown to people relevant to your business. For example, site owners who choose to show ads from this network and earn a little money every time one of their visitors clicks on one are incentivized by getting more clicks to only select ads from industries relevant to what their readers are interested in. The size of subscriber lists that popular bloggers have built up is often absolutely insane. These bloggers most often also use their blog as their full-time job, so they’re always looking for ways to monetize—and sponsored posts are one of the easiest ways for them to do that. Basically, for a sponsored post, you give a product or service away free to a blogger and pay them a fee to do a writeup on it. I don’t mean going to every single local and industry networking event that happens. Because that would be impossible—you’d be out networking all day and never have any time to actually work on your business. But when you get the opportunity to go to one that doesn’t totally wreck your schedule, show up. Bring your business cards, know how to talk about what you do in a way that will be interesting to your target market there, participate in the events happening, and meet new people. By getting your friendly face, nice advice, and business card in front of more people, you’re expanding your reach and the potential of your business. Once you have a list of people that have raised their hands and said they’d like to hear from you on a regular basis, stay in touch with them regularly. Sending out a weekly email to let them know about the new blog post you’ve published and what it can help them do is a great way to stay in touch with these people and keep your business top-of-mind. If once a week is too much, try every other week instead. It’s still an effective way to make sure people remember who you are, what you do, and why you’re so awesome. Toastmasters is a great, inexpensive way to practice your public speaking skills in front of a safe group of people who are also wanting to do the same thing. Whether it’s Toastmasters or a more education-based public speaking class, you can make your business your topic of choice to speak about to get plenty of practice for more high-stakes presentations. Most of us know that SEO is important, but when it comes to actually sitting down and figuring it out, we have no idea where to start and want to pull our hair out. An easy way to get around this feeling of frustration and still make sure your pages are most of the way there with SEO optimization is to install the Yoast plugin. This plugin lets you choose the keyword you want to optimize for on each page or blog post, and then it reads all of your on-page and meta data to show you ways you can improve that page’s SEO. People use different social media platforms for different reasons. Facebook is for connecting with people. LinkedIn and Twitter are for sharing content and showing off how smart you are. And Instagram and Pinterest are where we go to seek inspiration. Using your business’s Instagram and Pinterest accounts to share relevant, inspirational quotes and images that let people daydream about their ideal life scenarios is a great way to gain followers. No one likes a salesman, but everyone loves the friend that’s always inspiring them. So be the latter. If your marketing just isn’t producing the results you want it to despite the fact that you’re doing everything by the book, it might be time to host a focus group. Within the focus group, you can see whether or not your messaging is on point, or if there’s something people are misinterpreting that you’re not picking up on yet. You may also uncover different pieces in your funnel that don’t make sense to your ideal customer’s thought flow, which is why more people are dropping out before you can sell to them. We all know stubborn children well enough to know that if we tell them to do one thing, they’ll do exactly the opposite just to spite us. You may not be marketing to children, but you can still use the concept of reverse psychology to stage a pattern interrupt to get attention and prompt action. It works because people are expecting you to tell them to subscribe, which is a pattern their brain has created so it has to do less active processing throughout the day. And when you break that pattern, it gets their attention. Chambers of Commerce exist in almost every community to promote and protect the interests of local businesses within their community and their state. By joining your chamber of commerce and going to the meetings, you show other local business owners that you’re serious about your success (and theirs too), and that you’re willing to go above and beyond to make sure that happens. It’s also a way to get your business and the services you offer in front of other business owners and managers, which could mean referral partnerships or joint marketing opportunities. 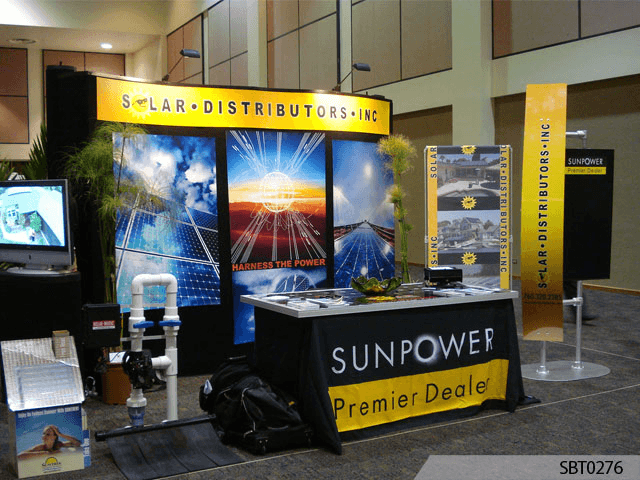 Renting booth space at an industry conference, giving out your branded swag, and talking to people who are interested in your offerings really helps get your brand out there in front of your target audience in a very powerful way. Especially when you give away useful pieces of swag, like the pens I talked about earlier in the article, people will remember you and your branding and tagline will go forth in the world to create more awareness about your brand. If someone gives you $20—for free—you feel a little strange, don’t you? Kind of like you should have done something for them first or like you definitely owe them something now. It’s the principle of reciprocity and nearly all humans have it. It makes us want to make sure we give back when we’re given to. It makes us nicer, less greedy individuals, and in a way, keeps the giving momentum of society moving forward. By mailing out free samples of your product—like a perfume, a new candy you’re selling, or your spa’s latest lotion sample—you’re invoking that principle with the recipients. Because they’ve received something of value from you, they have an innate feeling to give back, driving them into your business ready to make a purchase. There’s a billboard ad for a jeweler on my street. The name changes from season to season, and so do his clothes. In December, he’s Santa asking Mrs. Clause to marry him. It’s effective because it’s at a highly trafficked intersection, is really well designed, and drives their message home over and over again that this is the store you go to when you want to buy an engagement ring. Billboards are a traditional form of marketing that, especially when executed creatively, get attention and make sure your message is noticed by the public at large. We all love to balk at how much money companies will spend on a 30-second spot during the Super Bowl. But those prices are grossly inflated in comparison to how much a commercial costs during normal viewing hours… even if you’re going for weekend prime time. Most business already know the demographics of their target customer, and from that information, it’s relatively easy to deduce which types of shows they’ll be watching and when they’ll be watching them. Running a TV ad during these shows when you know your target market is tuned in—especially if you can get a spot that will only broadcast locally—can be a family affordable way to literally reach the masses with your business message. Radio ads might not be as effective as they were during the days of the original soap operas, but they still get attention. We might think that we always turn the station when a commercial comes on instead of music while we’re driving, but we don’t. Be mindful of it the next time you change a radio station… it’s most likely because it’s a song you’d rather not listen to or because you’ve already listened to five commercials in one block and this sixth one is particularly boring. The radio is something we listen to passively while doing something else (like driving.) It’s not something we’re actively overly-concerned about delivering the highest quality entertainment to us. And especially if your ad runs during rush hour traffic? You’ll be getting plenty of listens. Just like any other social networking platform, LinkedIn lets you run ads to your target audience. Right now when I login, I see an ad in my sidebar telling me they can quickly fix all of my company’s online listings across more than 50 listing sites. Which would totally be a pain point, if I had a location-based business. Sometimes, I even see an ad that’s used the “data” LinkedIn provides to display my picture, directly in the ad. Effective, no? Seeing someone advertise using your face? If your business is setup to serve other businesses in any way, consider LinkedIn’s platform and its interesting possibilities. As a customer, Groupon is awesome. I got my MacBook’s $60+ protective shell for $20. I got $40 worth of food at a really awesome local restaurant for $18. My parents bought a set of ballroom dance lessons at 90% off. But Groupon isn’t just about giving away your products for very little money. Instead, it’s about building up loyalty attached to the thrill of such an awesome deal. And it works. Because though my parents only wanted to take dance lessons for my brother’s wedding, it’s been seven months since the wedding and they’re still paying (full price) for lessons every single week. HARO = Help A Reporter Out. Online and offline journalists are always desperate for good sources for their stories. And while the internet is vast, mining through hidden LinkedIn profiles and websites for non-published phone numbers and email addresses is really, really hard. And it takes a lot of time. HARO, though, is a platform where journalists can put out queries for the kind of source they’re looking for, wait a few days without doing any active work, and receive responses from qualified people ready to be interviewed. By signing up as a source, you’ll get regular emails showcasing all the queries that you qualify for, and you can respond to the ones that interest you—earning you free press. Which is always awesome. Employee of the month programs are a popular way to make employees feel noticed and recognized, while rewarding good, hard-working behavior. It’s a great strategy, and a lot of smart companies are turning it on its head to have a customer of the month program. This recognizes customers that are a joy to work with, have great results to show off, earns them recognition either online or in the community, and builds loyalty. More than just a webinar, a web-based conference invites a handful of different experts to speak and do webinar-style presentations for the benefit of your combined target audience. These “conferences” can be free or paid, but the important part is that you use the combined networks of all the speakers to advertise it and generate interest. Once attendees register, of course, they’ll be exposed to all these other new-to-them experts who can help them in the area they need it. Writing a book isn’t for everyone—and it can often take a lot of time with little reward—but it is a HUGE credibility builder. But beyond using it to show off how fancy and clever you are, you can also use it as a fundamental step in your sales funnel. As a sort of low-cost entry barrier for your target audience to get to know you better and uncover your read value. In my own case, for example, I bought, read, and received value from Michael Port’s Book Yourself Solid, and a few months later, joined his higher-priced mentoring program. A lot of businesses who offer high-priced services often offer a free consultation. The idea behind it is to get to know you better and make you and your needs feel noticed and recognized, while also being able to know exactly what to offer you to best reach your goals. I’ve recently received a few free consultations from different orthodontists, and I’m very glad it’s something to offer—especially since it looks like I’ll be dropping around $6k for treatment. Again with the orthodontist experience. The first office I walked into for a consultation had a chalkboard with my name written on the top of it, welcoming me. Then, before we did any of the actual orthodontic exam, they walked me around the office, pointing out all of their awesome community involvement, philanthropy, and awesome technology. After they took my teeth photos and x-rays, they had me watch another 5-minute YouTube video reinforcing everything they’d just told me while I was waiting to see the orthodontist herself. I’m sure there was a consultant to help them do this, and if you think your business would be a good fit for something like this, I’d highly suggest it. Cold calls get a bad rap in the marketing and sales worlds. And yes, other methods are more effective. But sometimes, especially when you’re just starting out, those other methods can take a long time to build up before you can really reap their benefits. So cold calls are a way to sell to people who very well might need your services. Sure, the return rate is lower, but if you’re determined to make your business work, it is a valid marketing method that can bring in some much-needed business. People love being #1. Or #2. Or #3. Or even just being placed on a the same list as the kind of people who make the top 10. I was recently put on a list of the top 100 CRO Experts. Full disclosure: I was near the bottom of the list at #91. But there were major names on that list… Neil Patel, Peep Laja, John Jantsch, Joanna Wiebe. And it felt awesome. Running a friendly competition gives people the opportunity to be seen alongside the best, even if they know they’re not #1 themselves. They’re still pretty good, and they get recognition. Plus, you can bet the people who win your prizes will be totally bragging about it. One of the best ways to sell more products is to hire more sales reps. But full-time salaries cost a lot of money, and you have to pay for benefits and resources. A nice workaround to that, though, is letting people sign up as affiliates for your product. You don’t pay them anything until they make a sale… and then the amount you pay them is directly proportional to the number of sales they make. Sending cards for the winter holidays is a pretty long-standing cultural tradition… both personally and professionally. And it’s definitely a nice way to let people know you’re thinking about them at a sentimental time of year. Another fun way to take this strategy and make it more effective, though is to send holiday cards throughout the year, wishing people a beautiful spring or a happy summer. It’s a small gesture, but a little bit of kind thought and affection goes a long way. Sending out your own book here might seem a little pretentious… unless, of course, the person you’re sending it to has specifically asked for it. Instead, send out books you know will be relevant and helpful to the things that person is trying to accomplish in their business. Include a short, hand-written note in the front cover, and sign your name. Two weeks later, call to follow up and see how they’re liking the book. It won’t be a direct sale of your services, but it will establish you as one of the most reliable, helpful experts in your field… and earn you as many word of mouth recommendations as the people you do this for have the opportunity to give. Partner with a local charity and let your employees volunteer with them either for a set event or as a way to give people time off without deducting vacation days. It makes you and your employees feel good about giving back to the community, and, especially if you do an event partnership, gets your business name out. If you don’t already have a website, this is a must. I’ve met a handful of smart local service providers who have things like business cards, but have no website to send people to. It’s okay if you can meet every single one of your prospects in person, but what happens when I want to give a word of mouth referral and the person wants to check you out before they make a call? Websites are not expensive, and even the cheapest website is a million times better than no website. Most cities have some sort of publication beyond a local newspaper. They might be from the Chamber of Commerce for local businesses, they might be all about the local art scene, or they might be about the high-end luxury lifestyle that the richer community members get to experience. They may not publish every week, but buying an advertising spot in those magazines or art books is an easy (and often inexpensive) way to get and keep your message in front of a targeted audience. This is a small thing that can seem relatively insignificant at the time you do it, but is perfect for opening yourself up to passive opportunities in the long-term. If you’re a business coach, for example, you can join listings of professional organizations specifically for business coaches or for coaching in general. You may or may not have to pay a small fee to do so, but usually, even if you only get one referral or press opportunity from being listed there, it’s worth the investment. Ever been inundated with mail after buying a new car or a new house? It’s because that kind of stuff is on public record, and the companies sending you the mail comb them relentlessly for new opportunities to market. If any of the service you offer relate to things on public record: like car and home purchases, marriages, or the birth of new children, try launching a mailing campaign based on the updates you see in your local area. This is a passive marketing tactic, but definitely not one that should be looked over. And while it might seem like an obvious step, I’ve visited at least two “authority” blogs in the past week, read a post, and wanted to share it, but couldn’t. Sure, I could have gone through the cumbersome process of copying the url, opening a new tab, going to my profile, writing my own slug, and pasting the url, but with the inherent laziness and ease of use of the internet, I didn’t want to bother. So put up share buttons—SumoMe offers free ones—and let people who like your content share it with their network. See those share buttons? BuildFire makes sure their sharing is easy… which I appreciate as a reader. Users like to swear up and down that they hate popups, scaring kind site owners away from using them. But user behavior with popups is quite different than what they claim. They either just close it and keep reading, or they’re captivated by the offer and convert. No harm done. Here’s a popup from SumoMe that’s written to please visitors rather than piss them off. Phew. Made it to the end. That was quite the list, wasn’t it? But hopefully you could identify a few you’d like to latch onto to try with your small business.